If asked to rate your driving skills compared to the driving skills of others, would you say you are in the top 50% or bottom 50%? Most likely you would say the top 50%. In fact, the classic study in 1981 by Swenson revealed that in the US sample 93% of participants placed themselves in the top 50% (above the median). This inflated evaluation of our abilities transpires not only in driving assessment but in evaluations of intelligence, personality, and health as well. Self-evaluations tend to be flawed, specifically towards the positive. Let's face it; very often we think that we are better than we actually are. But don't worry. Everyone does it. This bias is known as the "above-average" effect. When comparing the self to other people, research has shown that self-evaluations are predictably more positive than warranted by external standard. A recent study published in the journal NeuroImage explains the role of the frontal lobe in these glowing self-evaluations. The study's findings indicate that the less activity there is in the frontal lobe, the more likely we are to see ourselves through rose-colored glasses. In the first study, researchers Jennifer Beer and Brent Hughes of the University of Texas at Austin scanned the brains of 20 participants while they answered questions about how they compared to their peers on positive traits (e.g. tact, modesty, likability, and maturity) and negative traits (e.g. materialism, messiness, unreliability and narrow-mindedness). The results indicated that above-average evaluations were negatively correlated with activation in the orbitofrontal cortex (OFC) and, to a lesser extent, the dorsal anterior cingulate cortex (dACC). This means that the more participants viewed themselves as more desirable than others, the less they used their OFC and dACC. These findings make sense considering that OFC damage impairs the ability to reason about social behavior. Patients with OFC damage tend to judge their social behavior more favorably "in the moment" when compared to other people's perceptions of their behavior. In the second study, the researchers investigated mental load on positive self-evaluations. Subjects that were required to answer quickly (mental load) saw themselves in far more of a positive light than those that had unlimited time to answer (no mental load). This finding suggests that frontal lobe activation permits one to deliberately process the information to arrive at a more accurate assessment. If self-serving evaluations are based on heuristics (quick assessments), then perhaps more time to make a judgment allows us to recruit the OFC and dACC since these regions have been known to correct or override heuristic approaches to evaluations. I should say that I summed up that study better than average! Um, on second thought, perhaps I should take a second and let my orbitofrontal cortex and dorsal anterior cingulate cortex weigh in on the judgment. Beer, J. S. and Hughes, B. L. (2009). Neural systems of social comparison and the " above-average" effect. NeuroImage. I like your articles, especially this one. The connection you made here between self-appraisal and brain activity is interesting. 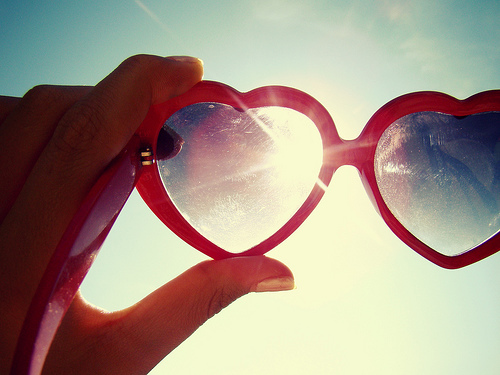 Should You Look Back on the Past with Rose-Colored Glasses?